Many citizens are not content with or even appalled by the quality of policy making by their democratic governments. They criticize their governments for ineffectiveness in creating jobs, in maintaining peace and stability, for ineffectiveness in protecting the world, for corruption, or for other deficits in policy making. At the same time citizens do not consider themselves powerful enough to change anything about the way they are governed. Many consider voting not effective. Frustrated they turn away from politics. Which constructive action can and must citizens take to ensure their democratic governments operate effectively? Systems Thinking suggests that citizens must regain control over their political systems to ensure the effectiveness of policy making. 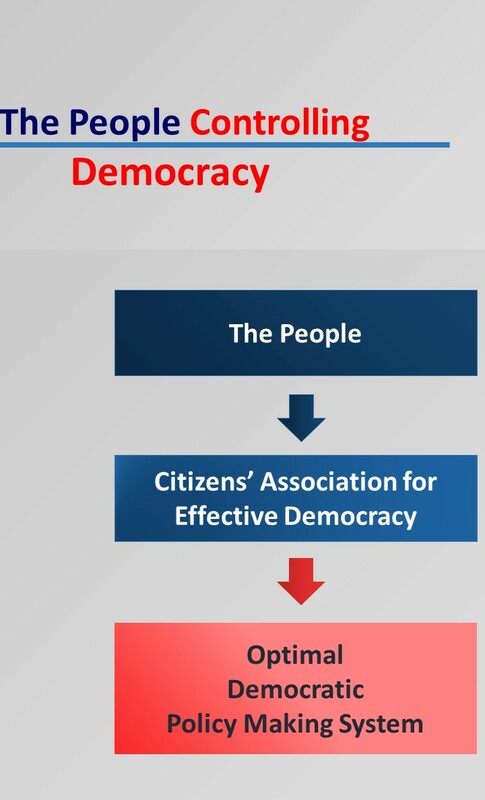 In order to exert effective control citizens must form “Citizens’ Associations for Effective Democracy” in the US, the UK, in Germany, France, Japan, or in any other democratic country, but also in countries which want to establish effective democracies. This website discusses why such Citizens’ Associations are necessary and how they must operate to make their democracies effective. According to Abraham Lincoln democracy is government of the people, by the people, for the people. The challenges of a globalised world of more than seven billion people are enormously complex. The future of our societies and of the world depends on effective democratic policy making systems. It depends on your personal commitment to make our democratic political systems work. Join in the debate on this website and provide your views on how to make our democratic systems work more effectively. Start or join in efforts to establish the required “Citizens’ Associations for Effective Democracy” in your country.